Whether you are a visitor or a long time resident of the City of Port Orchard, we sincerely hope that you find our website a useful tool. Our site offers a variety of information from general departmental information to the City Council Agendas and Minutes. We hope that you visit us often, in person and on the web. Our City is constantly growing, sometimes right before your eyes. This information is a work in progress, evolving as time and resources allow. 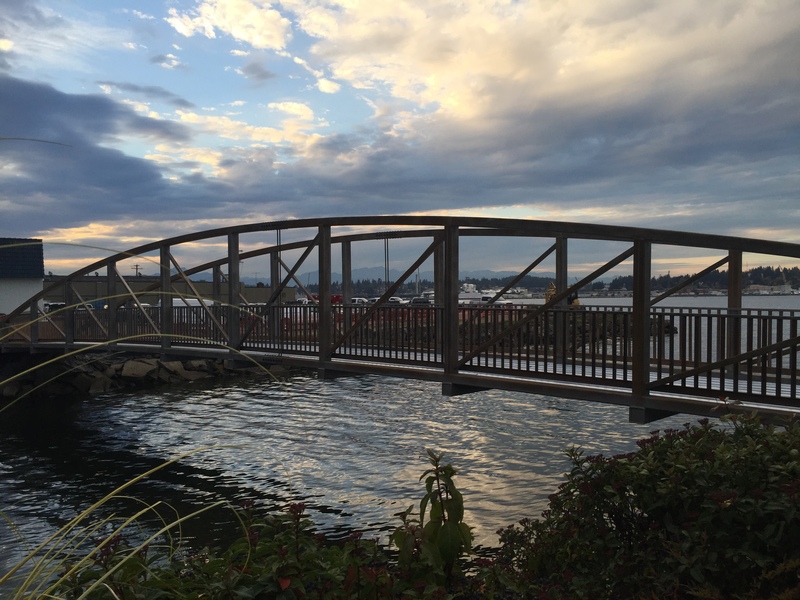 The name of the city of Port Orchard reflects the influence of the explorers and the area's history. In 1792, English explorer Capt. George Vancouver, in command of the H.M.S. 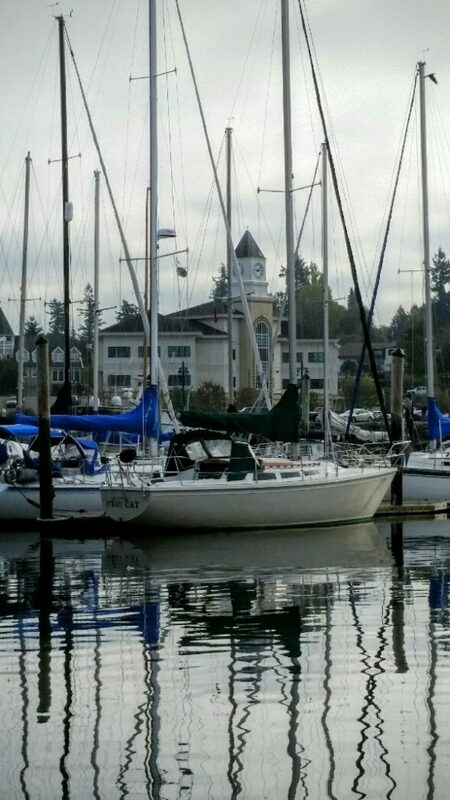 Discovery, sailed into Puget Sound to chart the area. He named the strait separating Bainbridge Island from the Kitsap peninsula Port Orchard Strait after his clerk , Harry Masterman Orchard, who is credited for discovering the body of water. In 1885, inventor Sidney M. Stevens came west from Dekalb, Illinois, initially to visit family in the Long Lake area. He purchased a homestead of 88 ½ acres for $900 on Oct. 10, 1885, with the intention to start a town. Mr. Stevens instead returned to Illinois. The following year his son, Frederick Stevens, came west and platted the town, naming it after his father. Sidney was incorporated on September 15, 1890, becoming the first town in Kitsap County to be both platted and incorporated. The county seat was originally in Port Madison. Voters decided to make Sidney the county seat in the general election in 1892. In December of 1892 the residents of Sidney petitioned the state legislature and the Post Office Department to rename the city to Port Orchard. The legislature refused, as Charleston had also requested that name. 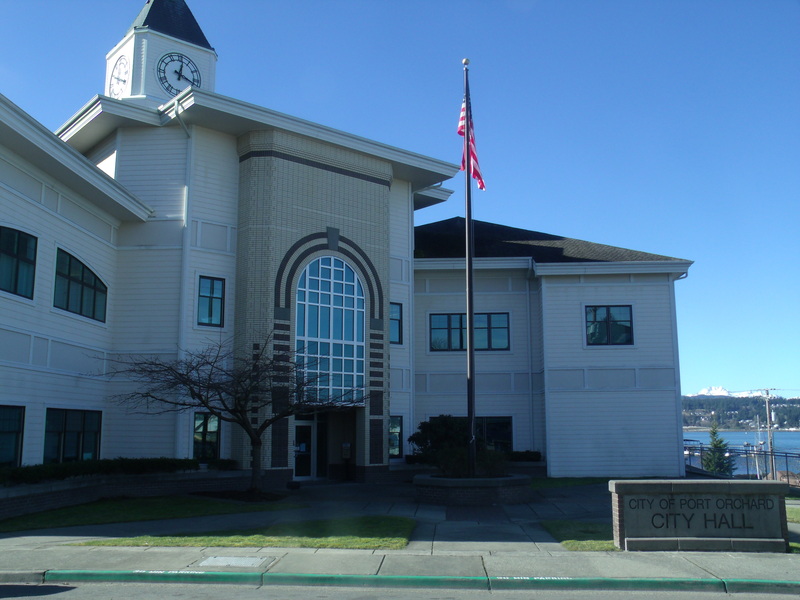 The Post Office Department, however, went through with the name change, and as a result the Port Orchard post office ended up in Sidney, and the Charleston post office ended up in Port Orchard. It stayed this way for ten years until a local politician, Will Thompson, editor of the Sidney Independent, went to the State legislature and convinced them to correct this confusing situation, so that the Charleston post office was in Charleston, and at the same time Sidney was renamed Port Orchard. Transportation around the area was dependent upon the water. 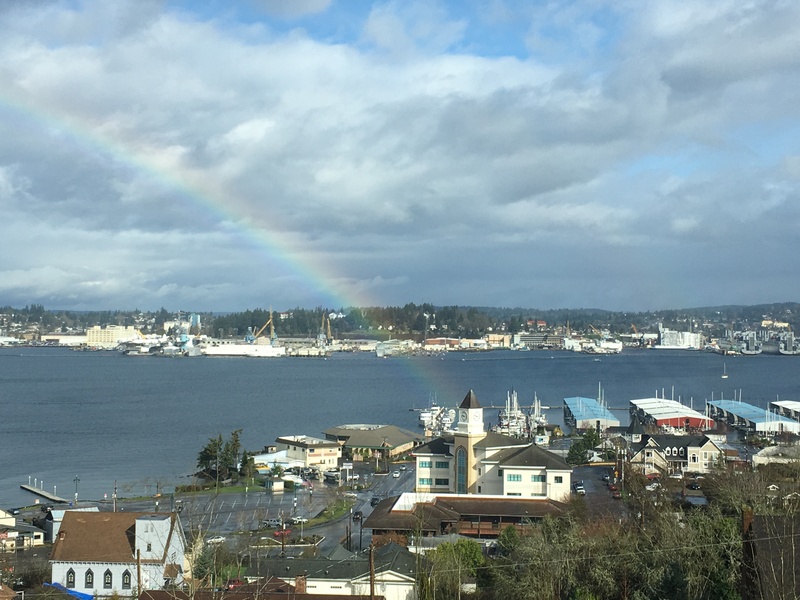 Small communities started to spring up along the sound: Retsil, Annapolis, Manette, Southworth, Manchester, Olalla, etc. Row boats were the original form of transportation until in 1888 when a steamer service was started on Puget Sound. So many small boats dotted the waters that they supposedly looked like a swarm of mosquitoes. Thus the name the Mosquito Fleet was coined. The foot ferry service is still used today to connect Port Orchard and Annapolis to Bremerton. Sidney faced serious challenges from the beginning. In 1890, the town had no streets, and was divided in three sections by Pottery Creek and Black Jack Creek. The main thoroughfare, Bay Street, was inundated by salt water every time the tide came in. With no money for improvements, a license was placed on saloons, a poll tax was imposed, and small charges were made for other privileges in the town, to aid in accomplishing much needed street work. The first streets to reap attention were Sidney and Cline. The dirt from these two streets made a fill 16 feet wide along the waterfront to Harrison Street. A wagon road was graded from Harrison to Rockwell. A small trolley railroad was constructed from Rockwell Avenue over a salt marsh to the east side of Black Jack Creek. Then Rockwell (locally known as Sand Cut Hill) was graded and filled in the salt marsh. The “sand cut” deposited hundreds of tons of sand across Bay Street every time there was a heavy rainfall. This condition existed until Rockwell was finally black-topped and gutters installed. Like most communities without fire protection, Sidney suffered its share of fire losses. The first major fire was in 1892. The Sidney Hotel and several homes on Prospect were lost. In 1894 most of the downtown businesses were wiped out by fire that destroyed businesses on both sides of Bay Street. The citizens of Port Orchard donated two pieces of property to help the community grow. The first was the land for the county seat. They also built a courthouse and deeded it to the county. That was an undertaking in a time when cash was scarce. The second was purchased land for Retsil Veteran’s Home. The Washington State Legislature appropriated money for a veteran’s home in 1908. The city presented the land to the state, and this gesture played an important part in the decision to locate the home here. Port Orchard's first water system was on Black Jack Creek in 1911. During the 1920's, this was converted to artesian for more and better water. Electric lights arrived in 1912. The rate maximum was $1 a month for each 16 candle power light. By 1915 Port Orchard had 266 telephones.